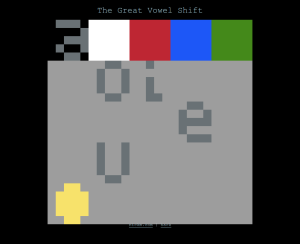 My first PuzzleScript game is a concrete poem that, after a few levels, taunts you, the player, with a metapuzzle. 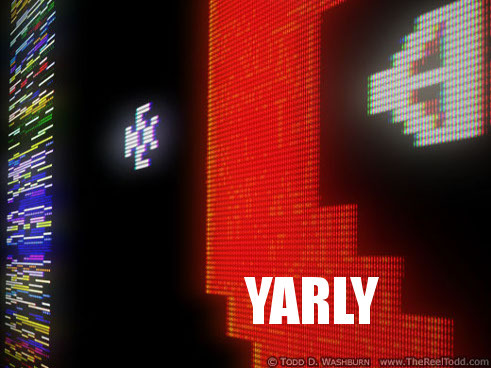 To how software keeps getting better and graphics get better-looking on the same old consoles. Note that for the Atari VCS / Atari 2600, only answers #3 and #4 apply, since developers didn’t use “engines” or even compilers, instead writing their code in assembly langauge. (Presumably the assemblers didn’t improve much over the years.) Also, the VCS had no firmware, flashable or otherwise; although refined versions of the hardware were produced over the years, such as the Atari 2600 Jr., such systems were optimized for cheaper manufacturing and didn’t improve performance. Still, there are important continuities between the answer to this question for the VCS and for modern-day consoles. And the answer is not obvious, since companies and the press usually emphasize the improvements in hardware that are made between generations of a console. There’s a nice article up at The Atlantic about Flash, written by the two authors of the new Platform Studies book, Anastasia Salter and John Murray. Their new book, I’ll remind you, is Flash: Building the Interactive Web. 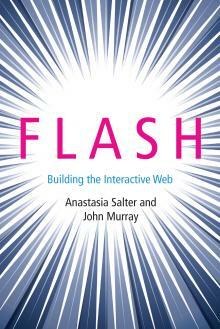 I’m delighted that Flash: Building the Interactive Web by Anastasia Salter and John Murray has just been published by the MIT Press. This is an excellent study of an influential software platform – our first such study in the Platform Studies series – and it both traces the history of the platform, its development and the contexts in which it arose, as it also covers many famous and representative Flash productions. Flash is still with us, but Salter and Murray nevertheless take up the difficult task of providing the historical context for this platform’s creation, from the days before it supported general-purpose programming through its dominance on the Web. The relevance of this book is not limited to a particular product (now, but not always, an Adobe product). It extends to the Web to interactive computing overall. I’ve revisited two games about depression which seem interesting to compare. 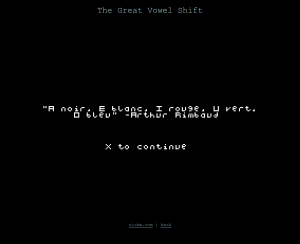 One has been discussed more recently, particularly thanks to its recent release on Steam: the Twine game Depression Quest. (It’s also available on the Web.) The other, which is in Flash and on the Web, is the platformer Elude. 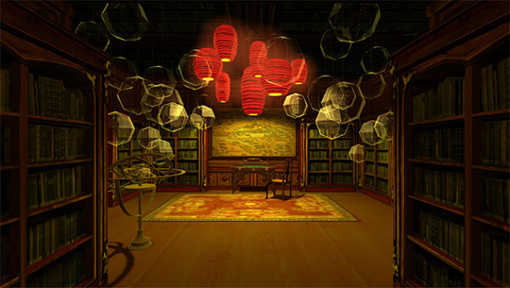 The latter was developed at MIT, in the GAMBIT Game Lab. Both of these games have seen plenty of discussion, but I wanted to mention an aspect that make them interesting to compare. Of course, Elude is graphical and played in real time, while Depression Quest is text-based and allows the user to select CYOA-style options. But that’s quite obvious. More interesting to me is that “Elude‘s metaphorical model for depression serves to bring awareness to the realities of depression by creating empathy with those who live with depression every day,” while “Depression Quest is a game that deals with living with depression in a very literal way.” Of course, being literal or metaphorical goes beyond having a single axis or slider, and it isn’t tied to whether one has a graphical or textual game. It’s interesting to see two games about the same subject matter that declare their intent to be different in this way. I wonder if there is a pair of games on similar topics where the text game is very metaphorical and the graphical game literal? 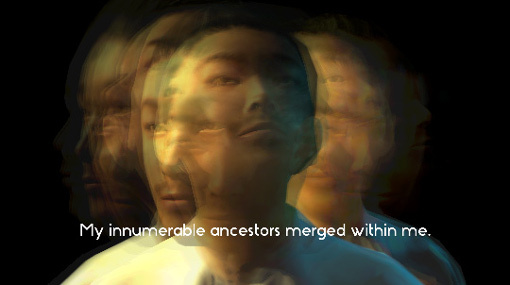 Robert Yang’s latest is a first-person-shooter version of Jorge Luis Borges’s “The Garden of Forking Paths.” With a lovingly off-kilter translation (befitting its “original”) and with visuals and (quite minimal) interaction that suits the experience, this is an extraordinary set of linked mini-games, well worth the short amount of time it takes to get through them, and worth offering at least a bit for this pay-what-you-will game. 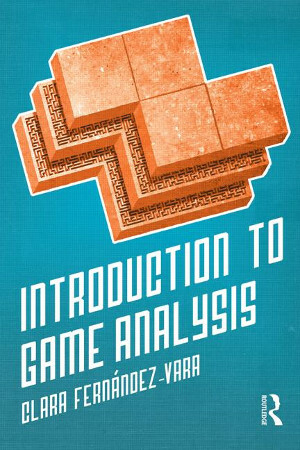 Just out: Introduction to Game Analysis, a book that covers many different approaches to understanding games, and particularly (although not exclusively) videogames. (Check the availability of the book online.) 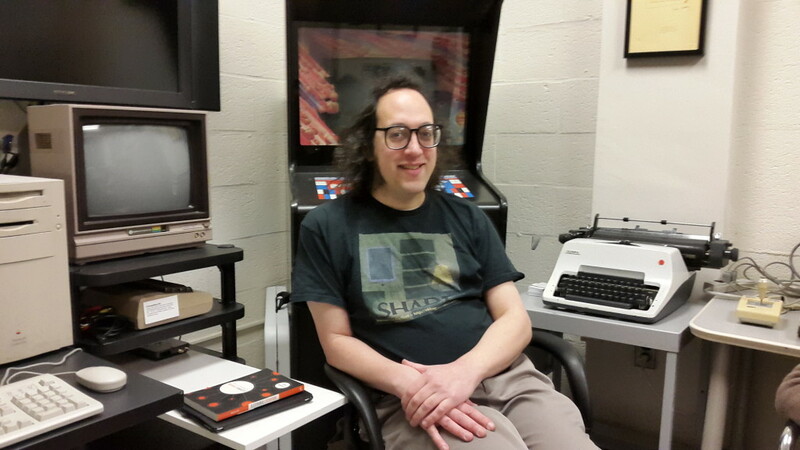 It’s by Clara Fernández-Vara, now on the faculty at the Game Center at NYU, who did one of the first digital media PhDs at Georgia Tech and was for many years my colleague here at MIT – I’m glad she was also part my of lab, The Trope Tank, for some of that time. Fernández-Vara is a scholar of games and an award-winning maker of games as well, and in both cases her emphasis has been on adventure games. It’s been valuable to learn, over the years, how to view games as we would literature or film, and how to bring specific individual approaches to bear in understanding them. Now, Introduction to Game Analysis offers numerous methods of analysis that each treat games as games. These approaches are systematically organized and well thought out, too. Anyone in game studies or digital media should find this book compelling; A person who is coming to video games from another field, or who has been in the field and is looking to teach an introduction to video games, will find it essential. Now available: TROPE-13-02 – Videogame Editions for Play and Study by Clara Fernández-Vara and Nick Montfort. >We discuss four types of access to videogames that are analogous to the use of different sorts of editions in literary scholarship: (1) the use of hardware to play games on platforms compatible with the original ones, (2) emulation as a means of playing games on contemporary computers, (3) ports, which translate games across platforms, and (4) documentation, which can describe some aspects of games when they cannot be accessed and can supplement play. These different editions provide different information and perspectives and can be used in teaching and research in several ways. Enjoy, and please let us know here or elsewhere if you have discussion about this. 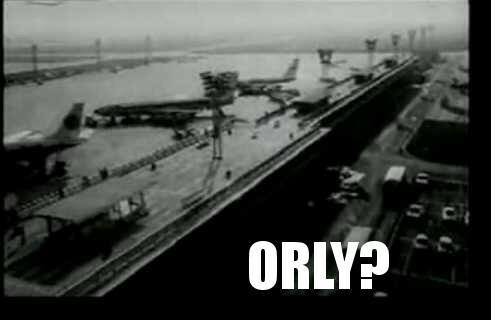 Thanks to Chris Marker, Howard Scott Warshaw, and The Reel Todd.